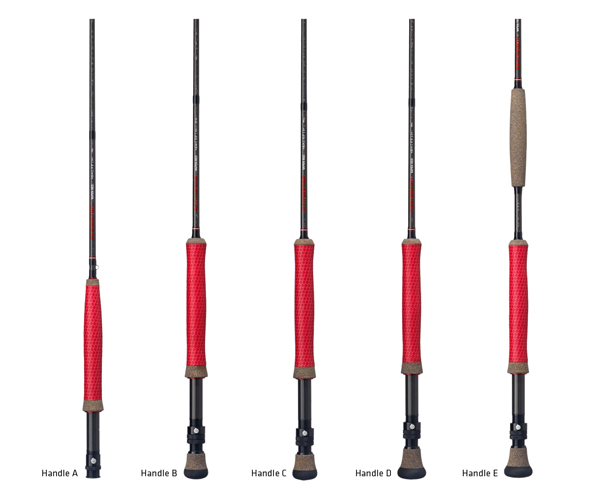 The Vapen collection is Redington's award winning series of all water rods. This premium collection excels in extreme conditions, whether you’re fishing fresh or saltwater. These fine-tuned, fast action rods will easily become your go-to rod for any fishing adventure. Featuring proprietary X-Wrap construction, the Vapen are also coupled with PowerGrip. PowerGrip brings fly fishing into the 21st century—this advanced polymer won't slip when wet, feels soft in hand, and reduces fatigue. It also cleans easily, doesn’t chip, and helps amplify casting power. It’s everything traditional cork isn’t. X-Wrap is Redington's most advanced blank technology, proprietary X-Wrap construction features one layer of super-high density carbon ribbon inside the blank, and another counter-wrapped on the exterior surface. This radical departure from traditional graphite construction allows us to build a rod that is both stronger and lighter at the same time. Better yet, X-Wrap provides a catapult-like launch power that quickly becomes apparent when the blank is loaded up to cast. PowerGrip created in conjunction with Winn Grips to reduce fatigue and amplify power.